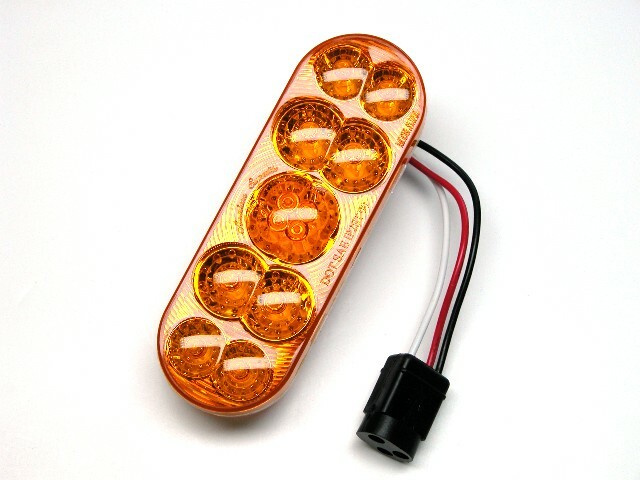 Oval LED Strobe. High Power. Amber lens with amber light output. 3 bursts approx. every 3/4 of a second.